Linx Printing Technologies will be showcasing its latest coding and marking innovations at Pack Expo 2013 – and offering visitors the chance to win a printer every day. Highlight of the Linx booth (S-5866) will be a trio of brand new solutions on display in the US for the first time – the Linx 5900 continuous ink jet printer, the Linx TJ725 thermal inkjet printer, and the Linx SL102 and SL302 scribing laser coders.The Linx 5900 is a CIJ printer with a number of first-in-class features for fast and reliable three-line coding which also has the adaptability to be further upgraded as and when required. The new Linx 5900 has been designed to provide maximum flexibility and consistently reliable coding, and offers the lowest maintenance costs in its class along with extended service intervals of up to 6,000 hours. Equally important, recognising that many companies’ coding needs can change as their businesses continue to grow, a variety of additional enhancements are available that can be incorporated at any time, avoiding the need to purchase a whole new printer and making the initial investment future-proof. Among its many new features, the Linx 5900 offers a large 1000 message memory store and built-in USB for faster code changes. 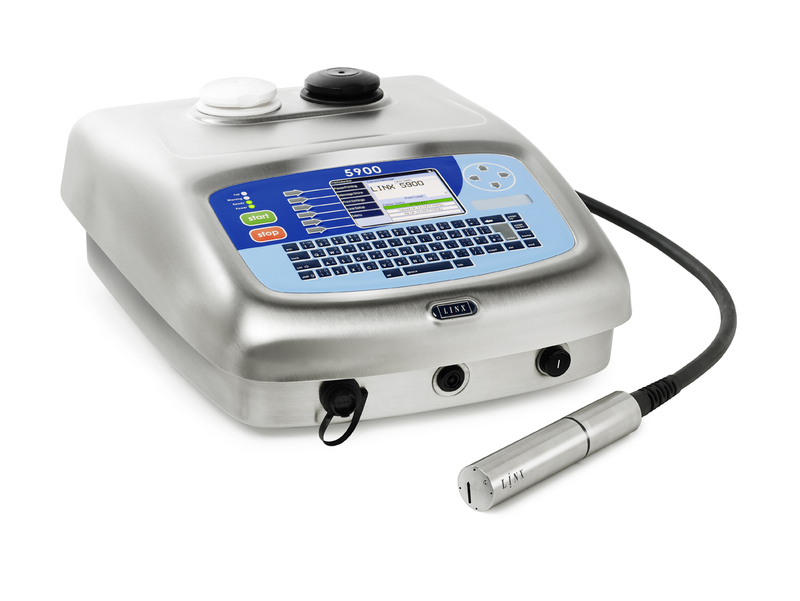 For reduced coding errors, the large and easy-to-use colour user interface provides prompted coding fields for quick and easy message creation, and the SureFill® system ensures mistake-proof fluid refills. 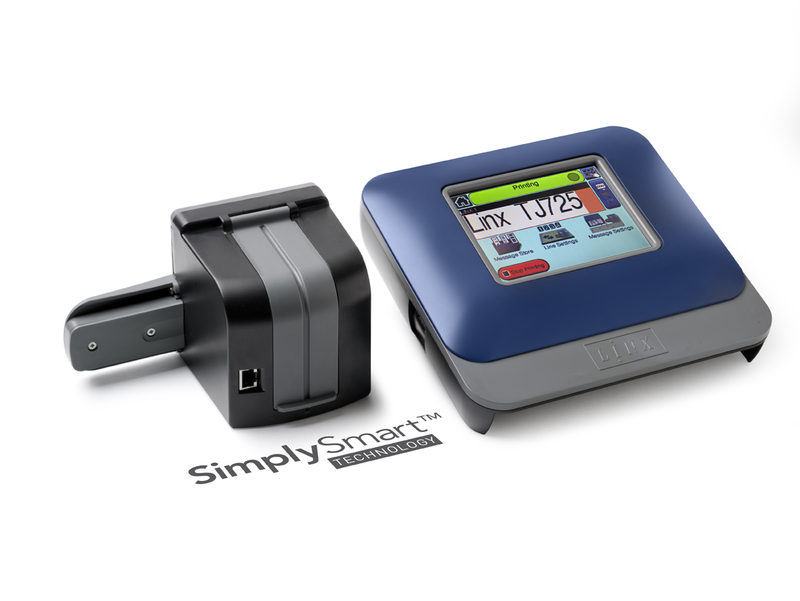 Visitors to booth S-5866 will also be able to enter a draw to win a Linx 5900 printer, with one winner being chosen every day of the exhibition.The Linx TJ725 incorporates Simply Smart Technology® to offer a high resolution, digital solution for coding onto outer cases, boxes, shelf ready trays and packaging. Supplied in just a few pieces out of the box, the Linx TJ725 is simple to fit without needing a service engineer or specialist installation tools. No training is needed and you can be up and running within minutes. The Linx TJ725 can cut waste and save money because it is ready to print straight away every time and with no hidden service costs, increasing production line efficiency. Linx’s innovative new Active Cartridge Care System® saves money and cuts waste by slowing the nozzle drying process, making first prints more reliable every time. The nozzles are covered and protected when not in use and uncovered automatically when the first product is sensed, so the Linx TJ725 is ready to produce high quality prints as soon as they’re needed. It can also sense how much ink is left in the cartridge, and forecast the number of prints remaining, so operators can plan to keep lines running without interruption. 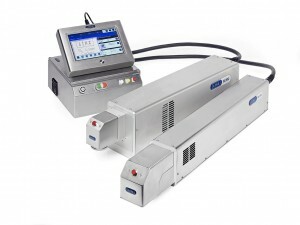 Linx is taking laser coding to new levels with the launch of a new range of scribing laser coders.The Linx SL102 10 Watt and the Linx SL302 30 Watt laser coders are the most versatile and intuitive coders in their class. With a wide selection of marking heads, lens and tube options, the Linx lasers can be fine tuned and customized to individual materials, line speeds and code requirements ensuring quality coding onto a wide range of customer applications. Choosing a Linx SL laser coder also assures reliability, with longer laser tube life, less downtime and lower cost. The new Linx laser coders are more intuitive – easy to use, with the new LinxVision® colour touch screen, incorporating a large WYSIWYG display for simple operation. The LinxVision operating system features an eye-catching, easy to use 10.1 inch LCD colour touch screen. The interface features software specially designed for touch screen operation, with large icons for intuitive, effortless control, editing and status reporting. The Linx SL102 and SL302 can alternatively be operated via a PC or network. Linx QuadMark® allows complete control of up to four laser coders on the same network from a single location, ideal for larger sites with multiple lasers and helping to save time and cost, whilst minimising the chances of coding errors.Also on show the Linx IJ355 high definition case coder offers a cost-effective, easy to use alternative to other large character printers, and to the labelling or pre-printing of secondary packaging. The innovative ReFRESH® ink system, robust design, and printhead protection technology mean significantly reduced downtime and savings on consumables. The ReFRESH system maintains premium print quality and also avoids wasted ink during printhead cleaning, thus saving time and money ordinarily wasted on purging procedures. Ink and dust that collect on the nozzles are removed with an ink purge and air knife, then ink from this procedure is collected, passed through a high performance filter to remove impurities from the system, and delivered back ready for printing. Additional products on display will be the award-winning Linx CJ400 and Linx 7900 continuous ink jet printers and the Linx TT5 thermal transfer overprinter.And visitors can plan their visit to the Linx stand in advance at the dedicated microsite, www.linxatpackexpo.com which will also contain all the post-show information needed to help make a purchase.